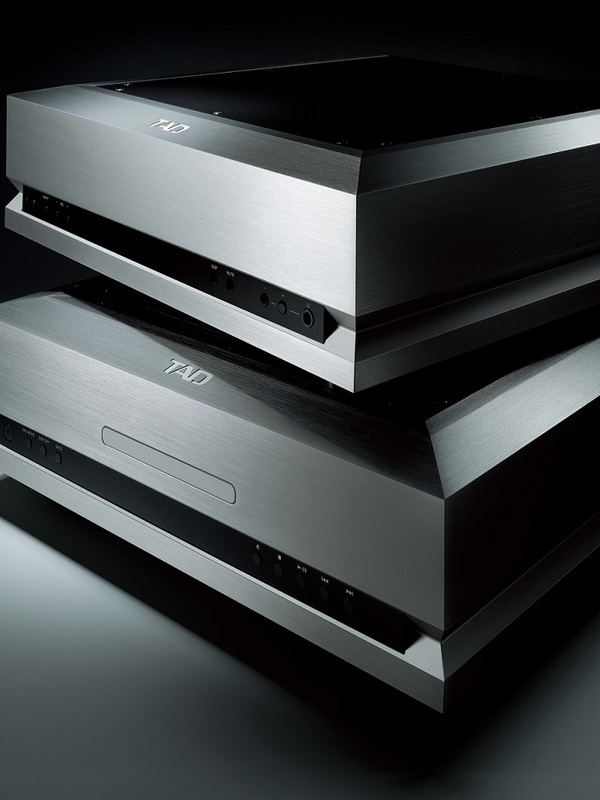 Pioneer Malaysia has announced the release of the new Evolution series TAD-D1000 disc player and TAD-DA1000 D/A converter. Featuring a proprietary ultra-high C/N (carrier to noise ratio) master clock UPCG (ultra-high precision crystal generator) and extensive digital input terminals, digital audio signals are played back to an extreme level of accuracy. Both models integrate a newly developed, ultra-high C/N master clock UPCG equivalent to that in the higher-level TAD D600 (Reference Series). In addition, high precision oscillations at room temperature result in quick start-up and long operating life. The D/A converter circuit is also fitted with two Burr Brown PCM1794A DACs in an independent left-right arrangement. A balanced configuration with the DACs connected in parallel achieves accurate conversion and a high S/N ratio. In addition, the use of a proprietary discrete IV conversion circuit that strikes a balance between residual noise and a high slew rate offers superior transient attacks and spreads in the music, while producing sounds with high definition and impact. Each model comes with five digital inputs. 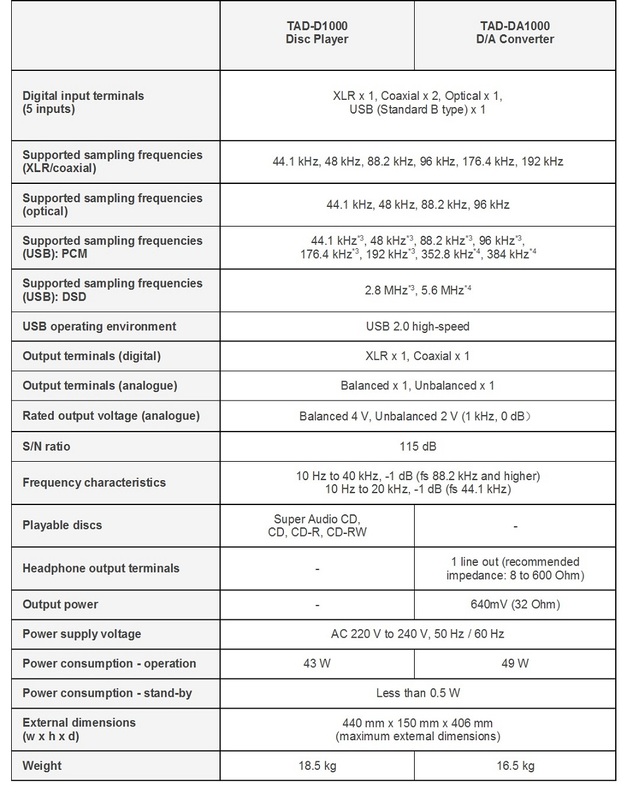 In addition to PCM data supported up to 384 kHz/32 bit, DSD data transmission based on the DoP standard is also supported. Also, DSD signals up to 5.6 MHz directly output from the USB port can be received when using compatible player software on a PC. On top of that, both models employ an 8 mm-thick pure aluminium chassis and a structure with a low centre of gravity to minimise the effects of external vibrations, resulting in a thoroughly vibration-damping construction. The design minimises power supply unit vibrations by mounting the power supply onto a thick-walled brass base. In addition, fixing the transport mechanism unit of the TAD-D1000 to the chassis reduces vibrations due to disc rotation and improves operational stability. A unique CD mechanism minimises the effects of external vibrations on the servo system. The disc tray made from precision-machined aluminium exhibits low-vibration, high-stiffness properties, while the use of black materials restricts the scattered reflection of laser light to increase reading precision. The use of a brushless spindle motor also results in quiet operation and long life. 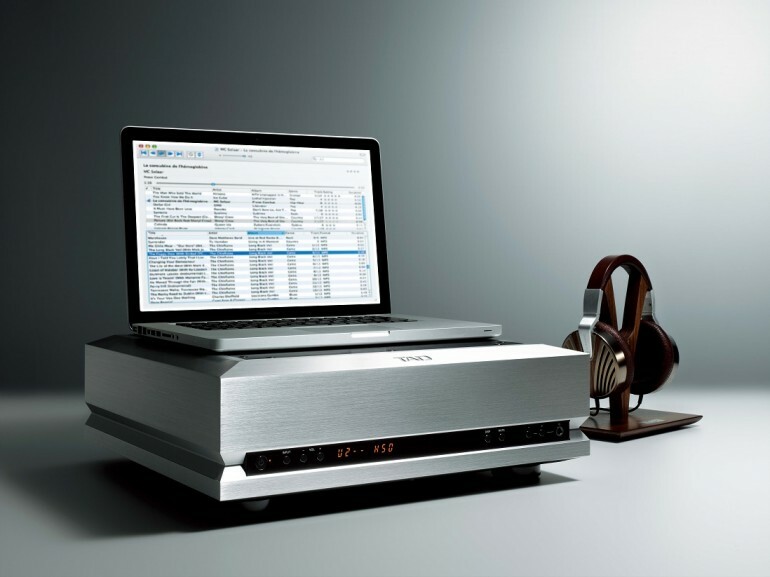 The TAD-DA1000 is equipped with a line output volume function, enabling the configuration of a simple and high-sound quality audio system by directly connecting a power amplifier. For customers who wish to enjoy music from their high-resolution sound sources saved to PC, this offers a new way to enjoy high-end audio. The TAD-DA1000 also comes with a headphone amplifier supports headphone impedances from 8Ω to 600Ω, allowing the user to enjoy high-quality sound from a wide range of headphones.